And I’m not kidding. 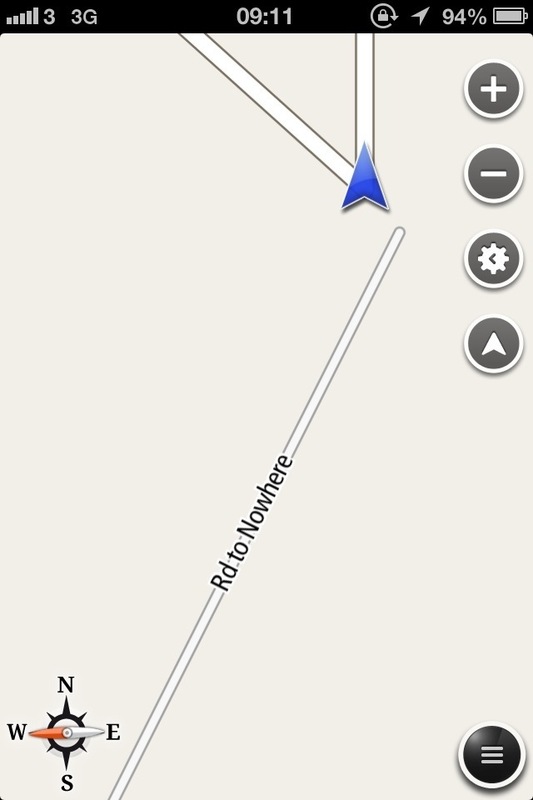 Even Bossy Bertha the Sat Nav agrees with me. and for those of you who now have a certain song stuck in your head, here’s the video. How to get yourself killed in one easy step…. 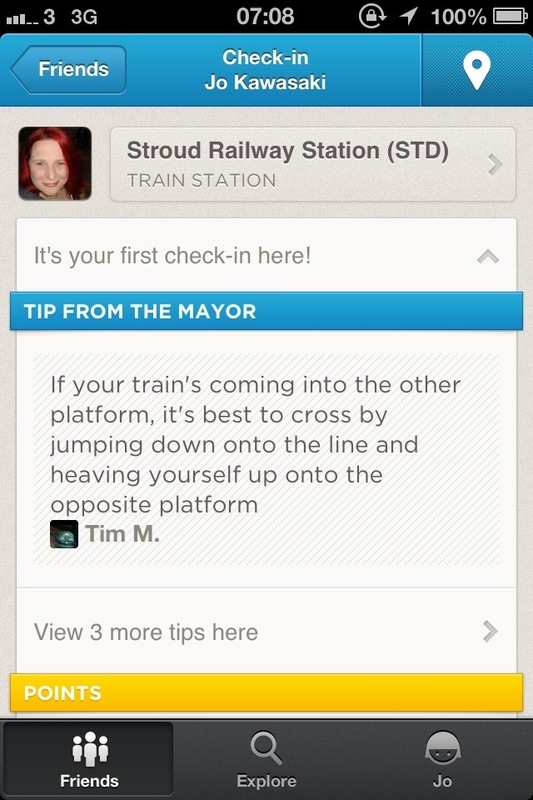 Follow this simple tip from the “mayor” of Stroud Railway Station. I can’t decide if its here out of pure stupidity, malice, or the ignorance of his belief that no one could possibly follow his tip because its so obviously stupid. All of the above make me sad. Worth noting that once notified to my local Foursquare rep, all of his posts have been flagged for removal. Apparently it’s not on isolated case with this user.